In this global online course, gain an overview of the theory and practice of leadership in the school environment. Current and aspiring leaders across the school spectrum — from educators to those in school operations, explore and apply models and frameworks for personal and team leadership. Accept the challenge to review and evaluate your own personal leadership skills and styles, as well as those of a leadership team within your school. Get equipped with the skills to identify your leadership strengths and build a professional learning plan for development. Throughout this course, pay special attention to the unique mission, expertise, and culture of boys’ schools in relation to the challenges and opportunities for effective leadership. The course is designed primarily for newly appointed school administrators or those who have recently taken on leadership roles, such as department head, pastoral leader, director, or assistant head. The course also enhances skills for those who aspire to leadership positions and seek to develop their readiness to lead. If you're an experienced school leader, take this opportunity to deepen your reflective practice and sharpen your skills. Classes run asynchronously, so there is no fixed time when you must participate online. However, you should commit to spend at least four hours each week the class is in session. Coursework and assignments for each unit open on Monday morning; you should complete each assignment by the following Sunday evening. While you may request a deadline extension, interaction proves more effective when the entire class works on the same topic. Connect and collaborate with other participants through several forms of interactive media, including short videos and discussion boards. CIRCLE — The Centre for Innovation, Research, Creativity and Leadership in Education Pty Ltd. equips, empowers, and enables schools, organizations, and leaders to act wisely, think strategically, and use resources well. CIRCLE understands education and leadership. Currently, it supports the work of more than 1,750 schools, educational bodies, and other organizations across Australia, New Zealand, Asia-Pacific, and internationally. Drawing on the extensive experience of its team members, CIRCLE tailors sustainable solutions for schools and organizations to improve their performance by building cultures of excellence in leadership and learning. Brad Adams has 25 years of experience in university administration, teaching, and school leadership in Toronto, Ontario, Canada, most recently at Upper Canada College (Canada). 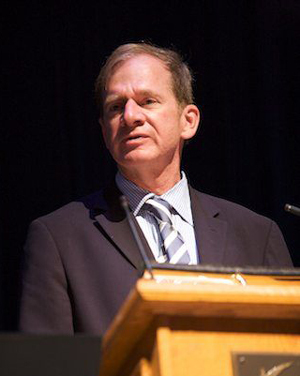 Until 2014, he served as Executive Director of IBSC, initiating best in class practice and collaborative research to benefit member schools worldwide. He shares CIRCLE’s passion for and commitment to unleashing the leadership potential of teachers and schools to improve student learning.